There are numerous reasons to sail Thailand, which is often called the Land of Smiles. The first reason is in the name – Thailand would probably not be so popular without people who constantly wear a smile on their faces. The smile, free to give and yet so valuable to receive, is the first thing you will notice when arriving to Thailand. The second reason is also rather obvious – nature. 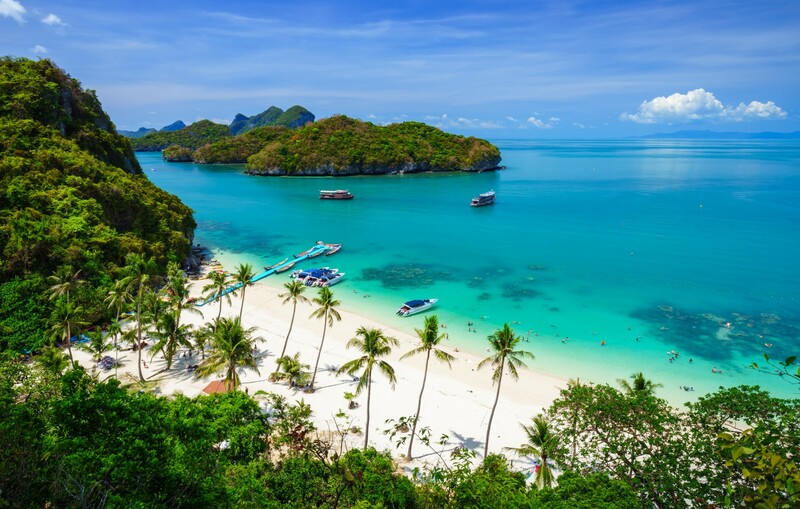 As an exotic destination, Thailand offers spectacular sceneries with an abundance of green life, exceptionally clear sea and endless sandy beaches hidden in numerous coves. On the other hand, if you love to go out in the evening and have some fun, you can count on Thailand’s vibrant nightlife scene. As part of their sailing experience, gourmands will enjoy discovering this mystical place and its combination of tastes and scents. The capital of Thailand is Bangkok. It is an administrative, political and cultural center of the country, and also servers as a perfect base for those who decide to sail the Gulf of Thailand. Bangkok is a very dynamic place, and a must see when in Thailand, so we recommend you to spend a few days in the city before taking off to the islands off the neighboring Pattaya or further to the southeast.On the other hand, if you love to go out in the evening and have some fun, you can count on Thailand’s vibrant nightlife scene. 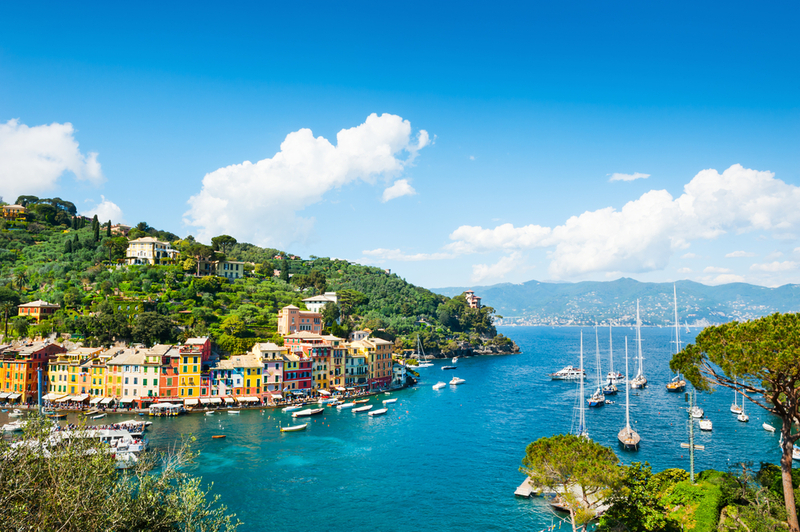 As part of their sailing experience, gourmands will enjoy discovering this mystical place and its combination of tastes and scents. 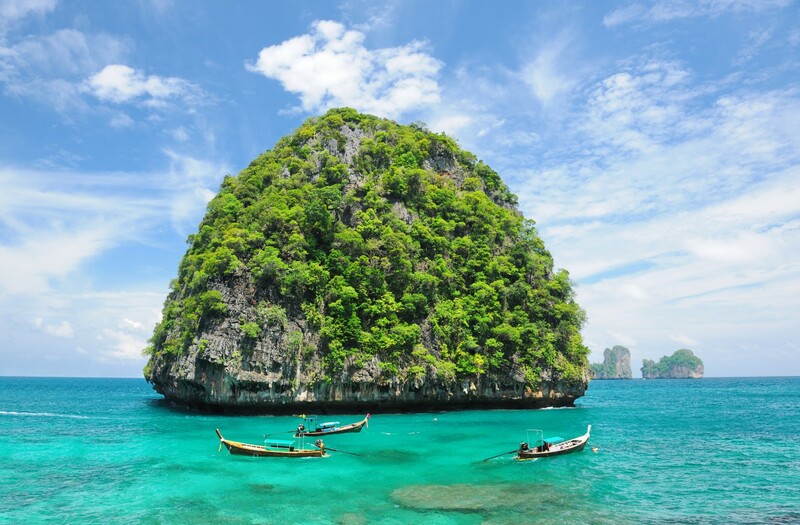 Phuket is the largest island in Thailand and its southern province. 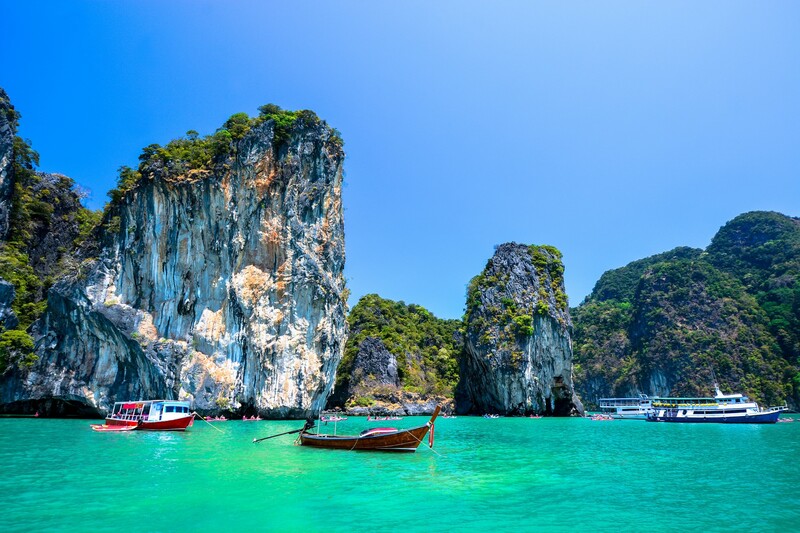 The area around Phuket, with around 32 smaller islands, including the Phi Phi Islands, will more than satisfy even the most demanding sailor. Phuket has rich history because it served as a stop on major trading routes between Europe, India and China. 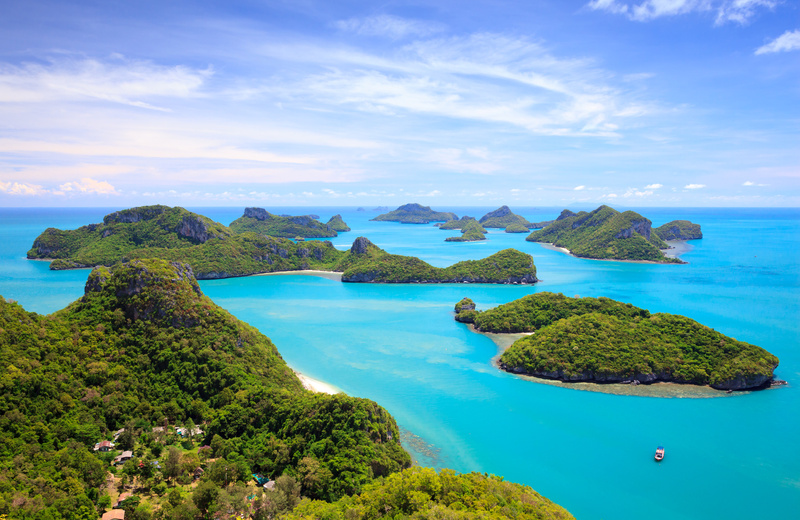 Phang Nga Bay and the neighboring Krabi Province on the Malay Peninsula are the most popular sailing destinations in the region. Those who want to experience everything Thailand has to offer – nature, history and culture, should carefully plan their itinerary because Thailand has a large number of national parks and sights that cannot all be visited at once. Furthermore, the climate in Thailand should also be taken into consideration when planning a trip. There are three major seasons: the rainy season, the hot season and the cool season. The rainy season is definitely the one to avoid. The cool season could be described as warm and pleasant to visitors coming from moderate or cold climate regions. The hot season is pretty much the same as other hot seasons around the world. In other words, it is excellent for sailing. Those who want to experience everything Thailand has to offer – nature, history and culture, should carefully plan their itinerary because Thailand has a large number of national parks and sights that cannot all be visited at once. The weather in the southern, coastal part of Thailand is simple to understand. There are only two types of weather there – rainy and dry. The Andaman coast in the west gets heavy storms from April to October due to southwest monsoons. The same weather can be expected in the Gulf of Thailand and the east coast between September and December. 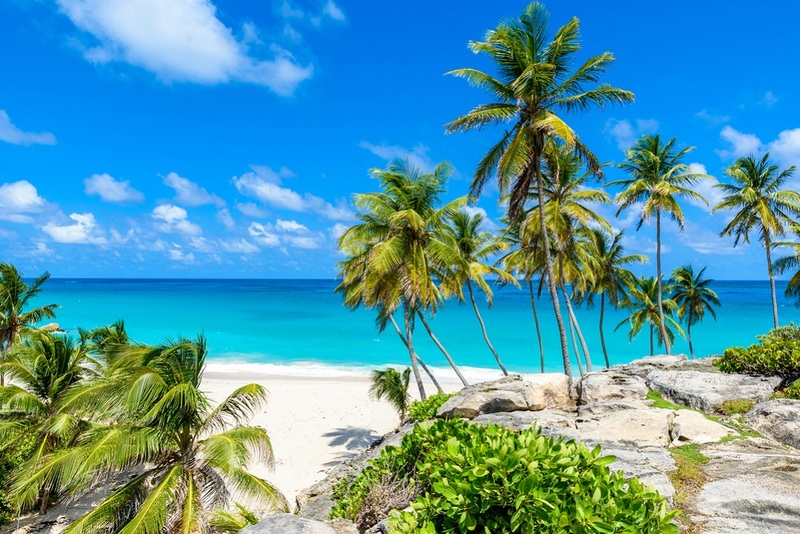 Flying to Thailand nowadays is much simpler than it used to be, thanks to a variety of airway companies that offer cheaper flights, which fly, among other places, to Bangkok, Phuket and Pattaya. If you are interested in sailing this magical place, visit our pages about chartering a yacht on Thailand!